Need to store your baggage in Rome? You want to visit Rome city center and do not know what to do with your luggage? You transit through a station or simply want to leave your helmet somewhere? 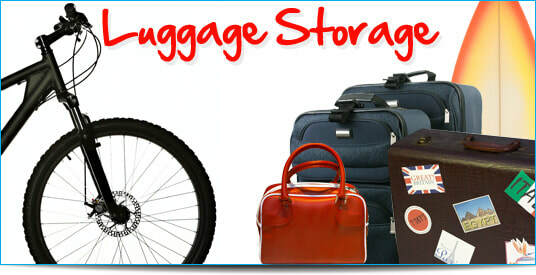 With MRBike’s luggage storage service, you can find and reserve a secured luggage storage in Rome. This service is available 24/7 for 24 hours, so, do not hesitate to make the most of your day!With a location in the heart of Rome in the beautiful Via Merulana, our luggage storage facilities provide a safe, friendly and convenient travel service. You can visit our Storage or take advantage of our luggage transportation service from your location. Our luggage storage service is available near the Termini Train Station and the Center of Rome.